The home renovation pros at Picture Perfect Painting & Home Improvements can install all types of doors at your Cape Cod home. We can replace older doors or install new entry doors, storm doors, or patio doors in a variety of settings. We provide home remodeling consultation and free estimates, and can discuss the best door options for your needs. We can also install interior doors anywhere in your home. Entry doors play an important role at your home, as entry doors offer a comforting and inviting first impression to your guests. Quality entry doors not only add beauty to your home, but also add value, security, energy efficiency, and performance. 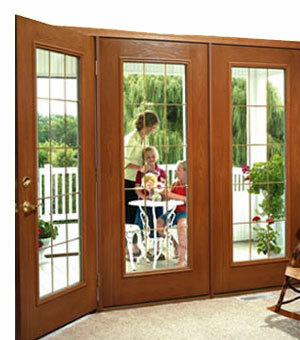 Entry doors made by the leading door manufacturers are strong, durable, and economical. 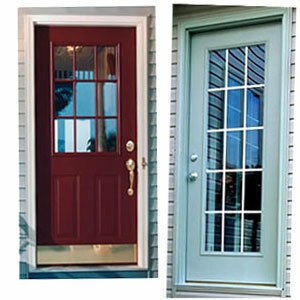 There are quality fiberglass, steel, and wooden entry doors on the market that are available in many styles, shapes, sizes, colors, and finishes. Most of the leading entry doors are built to the highest quality standards and offer the energy efficiency that will save you money on heating and cooling bills. Storm door frames are made of steel, fiberglass, aluminum, vinyl/plastic, or wood. Price is certainly a factor when choosing the right storm door for your Cape Cod home. The higher quality storm doors are more expensive because of the materials, energy efficiency, durability, and easy maintenance features they offer. Many top quality storm doors use low-emissivity (Low-E) glass or glazing, and offer self-storing pockets for the door's seasonal glass and screens. The best storm door products are available in many different styles, sizes, and colors. Some metal-framed storm doors have foam insulation within their frames for greater energy efficiency. Aluminum storm doors look great and are more durable, stronger, and longer-lasting than wooden or vinyl storm doors. Wooden storm doors require painting, staining, and more maintenance than other storm door types. Vinyl storm doors are easy to clean, less expensive, and have molded color that hides scratches, but vinyl isn't as durable and efficient in extreme cold or heat as other storm door options. Picture Perfect's home improvement contractors can help you choose the right storm door for your needs and your budget. There are many patio door, sliding patio door, and French door textures, styles, sizes, and colors available. Patio doors are available in fiberglass, smooth steel, and textured steel construction. The best quality patio doors, sliding patio doors, & French doors offer the energy efficiency, strength, durability, security, and beauty that will complement your home and make this home improvement a wise, long-lasting investment. Our experienced home remodelers can explain the pros and cons of the many patio door products, styles, and features, and help you make the best decision in choosing the perfect patio doors for your home!